Before I went away to college, I had no idea what a Vera Bradley bag was :( I guess I was sheltered when it came to material things like that. Well all of a sudden I started seeing these adorable floral bags in all shapes and sizes, and they even sold them in the campus bookstore! I was hooked on Vera Bradley from that moment on. I have fallen in love with Vera Bradley bags because there are so many color options to choose from, they come in a plethora of shapes and sizes (I'm dreaming of owning the luggage one day), and they can be washed! 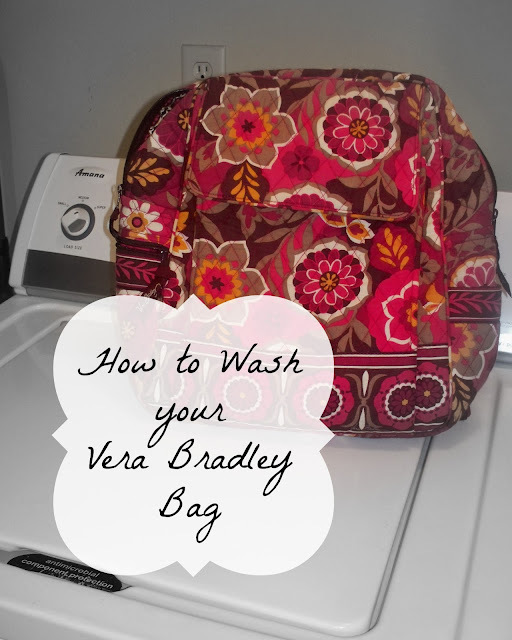 The Vera Bradley website states: "Machine wash cold, gentle cycle, only non-chlorine bleach as needed, line dry". This is basically all you need to do, but I throw in an extra step to protect my bags and it is super simple. A pillowcase. You want to take the item that you are washing, open all of the pockets and empty them, and make sure you remove the base of the bag if there is one. This bag doesn't have one, but my Vera Bradley diaper bag does. Next you want to throw it into a pillow case. 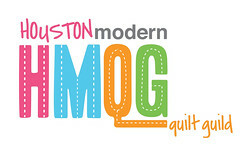 I use a white one so that I do not have to worry about colors running (the colored threads on the pillowcase are synthetic and will not run). The pillowcase will protect your bag from rubbing up against any parts of the washing machine. Plus it will make sure that the straps will not get tangled either. Then just "Machine wash cold, gentle cycle, only non-chlorine bleach as needed, line dry" :) It's that simple. Now I have my backpack all washed and ready for our trip to Disney World in 9 days! :) I'm a bit excited about our vacation if you can't tell. I like 90% packed. As always, make sure you double check that your item can be machine washed. Vera Bradley has a couple items that can only be spot cleaned. If you're not sure if your item can be washed just check on their website because it should be listed there. thanks for posting. I have a few VB bags that need washing! That's always how I've washed my VB bags too. So convenient that you can just throw 'em in and voila, clean bag! I've just been eyeing a hand bag of mine that is in need of a good wash but that I was afraid I'd ruin... your tutorial is perfect. Thanks. Great tip! I don't have a VB bag but I know several of my friends get frustrated about how to clean theirs. I will pass this along. VB diaper bag... How do you take the bottom out? Mine looks sewn in. Mine has a slit across one of the short sides where it slides out. My bag is older (I've had it about 5 years now) so the newer bags might not have a removable bottom.